Katarina Metzger is the Managing Director at Digital Leaders. In this role she is not only responsible for the curation of customized Executive Learning Journeys, but also for the global operations, network and conferences. Prior to this, she has been starting several businesses as an entrepreneur, served as financial director at investment advisory Ahead of Time, worked for the BMW Group and the strategy consultancy Bain. Katarina studied International Management at the University of Applied Science in Munich and Regensburg, Germany. She has been recognized as a thought leader, woman in leadership and as a delegate at the World Economic Forum. Her mission is to equip leaders and executives with new insights on disruptive technology trends, leadership mindsets, and capabilities to foster growth and innovation in their business. 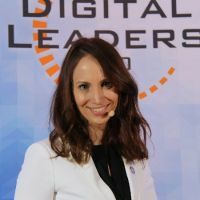 Rossana Cantù is the Event Coordinator at Digital Leaders. In this role, she coordinates the curation of fully customised Executive Learning Journeys throughout the whole cycle and social media activities. 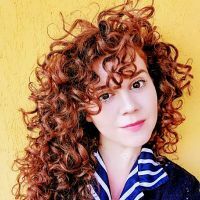 Prior to this, she worked for an early-stage startup as a Project Manager using Agile methods, for international and public organisations as a Marketing & Digital Coordinator, and for big corporations, such as Google, as a Business Analyst and Strategist. Rossana studied International Relations at IHEID (Geneva) and Technology Management and Innovation at HSG (St. Gallen). With an insatiable interdisciplinary curiosity, she aspires to bringing together creativity, innovation technology and social impact. She is passionate about travelling, emerging technology, neuroscience, personal development and inner growth. Nate Pirc is the Business Development Manager at Digital Leaders. In this role, he leads the development and growth of the business and he manages the client relations for new and existing partnerships. Prior to this, Nate had founded and successfully sold his own company. Most recently he worked for multiple high-tech startups as well as international corporations such as Coca-Cola. 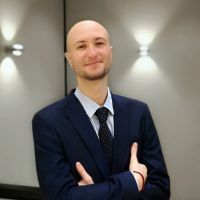 He is passionate about personal and organisational development which he pursues by connecting thought leaders around the world in the spirit of mastermind and synergy. His core values are curiosity, honesty, trust and respect. 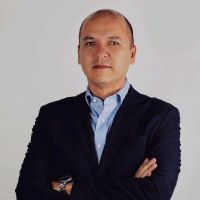 Luis Ulibarri is the Venture Partner (Mexico) at Digital Leaders. In this role, he supports the execution of customised Executive Learning Journeys. He is also the CEO and Managing Partner at TeraSigma Venture Capital, investing on both early stage and growing startups on Smart Cities related technology, and Technology Based Spin-Off companies. Luis is a Certified Six Sigma Black Belt, blockchain specialist, cryptocurrency enthusiast, Innovation Leadership and Entrepreneurship Professor, Researcher and MBA Lecturer. Prior to this, he worked for many international corporations such as GE Aviation and P&G. Luis studied Mechanical Engineering at Tecnologico de Monterrey. His mission is to help corporations, entrepreneurs, students and investors to create value for the society. Digital Leaders is a global network of the most influential leaders in the internet, mobile & digital industry. Since early 2000, we have curated signature customized executive tours, learning journeys and executive education programs for CEO’s, high-level management, corporate executives, business owners, investors, board members of global businesses and government leaders in vibrant technology hubs worldwide. We have deep cross-industry expertise, a broad network and a long-standing professional experience on digital transformation. We are passionate about disruptive innovations that matter to our clients and to the world. We bring together an unmatched group of top CEOs, founders, pioneers, investors and luminaries to set the agenda in global tech. We also host regular intimate closed-door leadership events as well as their invite-only Annual Summit. Our past clients include Holtzbrinck Publishing Group, Mercedes-Benz, GIZ, WEF, Goldbach Media Group, WPP, SIEMENS, BMW Group, Audi, Volkswagen Group, Fujitsu, Fuji Xerox, 3+ Media Group and Television, Henkel, Vodafone, Allianz, Linde AG, Munich RE, E.ON, Samsung, General Electric, Private and Venture Investors, Family Offices and others. The organization committee at Digital Leaders consists of an experienced and passionate team who had been previously involved in global leadership conferences, such as the World Business Forum (WOBI), World Economic Forum (WEF), DLD Conference or the Clinton Global Initiative Annual Meeting.